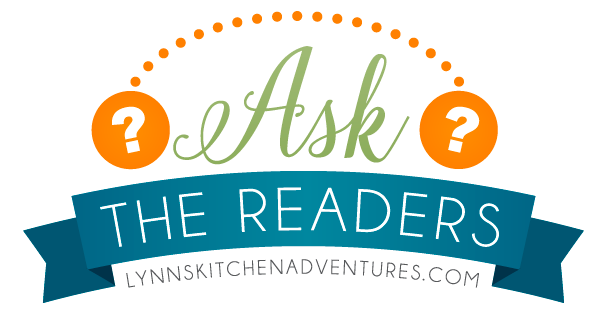 It has been a long time since we did an Ask the Readers post! You all are full of information and are always so helpful. I love doing these posts. I need to get back to doing these more often. I recently had a reader email me about making oatmeal in the Crock Pot. I have never had great success with it, but I know many people love making oatmeal in the Crock Pot. So I am hoping you can help. Here is what Barbara asked. Any thoughts on baked oatmeal in the crock pot? We like it with yogurt and don’t use the oven in the summer. I always scorch the bottom when I use the crock pot. You all know I love baked oatmeal. It is one of my family’s favorite breakfasts, but I always use the oven for it. So can you help me with this reader question? Have you tried baked oatmeal or any oatmeal in the Crock Pot? Can you share some tips with Barbara? I posted here about making it in cans, but I would probably use wide mouth canning jars now, since there are concerns about BPA in cans. I think the key to not scorching might be baking it inside some sort of vessel in the crockpot instead of directly in the crock? Definitely something to test though because we also love baked oatmeal at our house and not using the oven in the summar is a must! Keep us posted! We like baked oatmeal being able to not use the oven would be awesome!! I’ve made this recipe 5 or 6 times, and I love it! I cook regular old fashioned oats in my crock overnight on the keep warm setting and we love it. It’s 2 heavy cups of oats, about 1/4 cup brown sugar, dash of salt, 1 tsp cinnamon, dash of vanilla, 1-2 T coconut oil or butter, 1 cup milk, 3 cups of water….stir in a dish that will fit in a large crockpot and add water under it (in the crockpot) and cook on keep warm for 7-10 hours. Can easily be reheated as leftovers. It’s not runny, more like a baked oatmeal.